Don H. Doyle is professor emeritus of history at the University of South Carolina. He has a special interest in the Civil War era, the American South, and the U.S. and the Atlantic world. 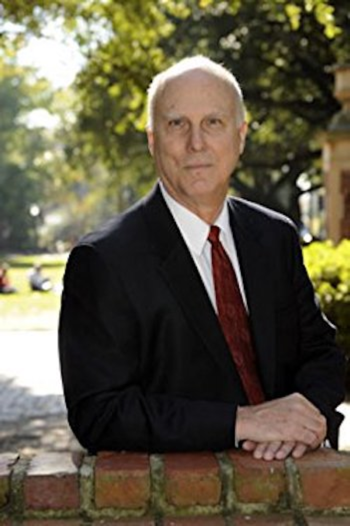 Don’s interest in international history was inspired by three appointments as a Fulbright Professor, at the University of Rome; the University of Genoa; and Catholic University in Rio de Janeiro. He also spent time in Europe as visiting professor at the University of Leeds, England; visiting scholar at the American Academy in Rome; the Liguria Study Center in Bogliasco, Italy; and the European Institute in Fiesole, Italy. Don is Director of the Association for Research on Ethnicity and Nationalism in the Americas (ARENA), a network of scholars in the United States, Latin America, and Europe devoted to advancing collaborative and comparative work on the Americas and the Atlantic world.